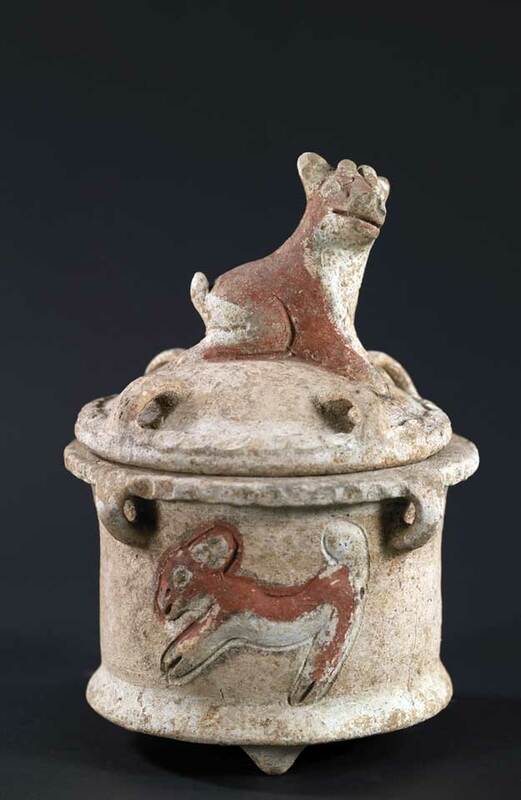 Deer are among the 10 most commonly depicted animals on Mayan vases, plates and bowls of the Late Classic period. 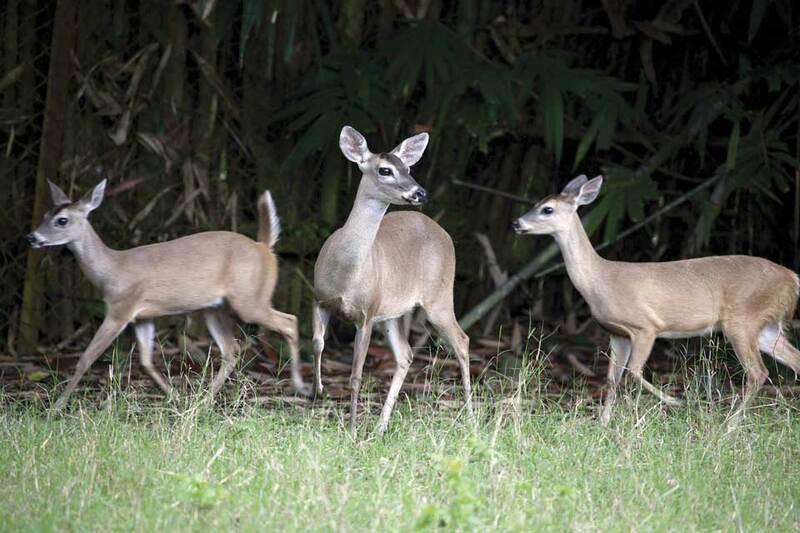 Although two species of deer inhabit the Mayan heartland, the white-tailed deer, Odocoileus virginianus, is the one usually depicted in Mayan art. 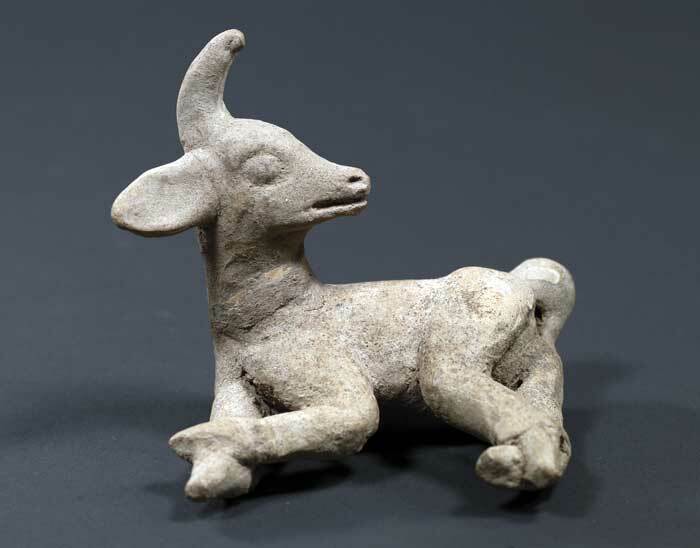 For the Classic Maya, the deer was in some ways as important as the jaguar, monkey and snakes. Plus, its meat was a major source of protein. Deer-hunting scenes are clearly depicted on 7th-8th century Chama-style vases. There are also a series of mold-made vases. It is not always clear if these came from the Motagua Valley area or from the Escuintla area. 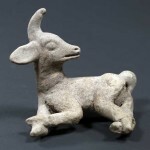 The same set of deer scenes is depicted over and over again, as is typical of mold-made decorations in ancient times. Considering that deer were sacred and edible, some of the hunting scenes contain ritual enactments. The Maya ate almost every animal that was available to them, but other than the elusive tapir, the deer is about the largest and most common game animal in Petén, Yucatán, Chiapas and Belize. Thus it is not surprising that reports on zooarchaeology of the Classic Mayan document deer meat as a staple of their diet. As well, the Post Classic bark-paper codices depict deer being captured in traps. Deer antlers were used as a tool, and deer hides were used for leather. Deer are mentioned in the Popol Vuh creation story, but there are not really any major deer characters in the Popol Vuh. Some Classic Mayan depictions of the ballgame were representations of a deer hunt: the ballplayers were dressed like deer hunters. Ballplayers and many hunters wear wide-brimmed hats, for example. This concept has been tough for writers of Mayan culture to incorporate in their discussions of the ballgame, since so much of what is written is skewed by popular misconceptions. My conclusion has been that some versions of the ancient Mayan ballgame were recreations of a hunt: Some of the ballplayers were the “game.” However, it is important to realize that there were many different versions of the ballgame—of course not all were recreations of hunting. Some ball-games were more militaristic; others were pure sport. Other games were more like a ritual enactment of the games presented in the Popol Vuh. Some games involved sacrifice (of the losing player; the concept that it was the winner who was sacrificed is a popular mistake). The Post Classic bark-paper codices of the Maya clearly show hunting, trapping and ritual interaction with deer. Ethnohistorical sources mention deer sacrifices. Clearly, the deer had supernatural implications. Deer are mentioned in the Popol Vuh creation story, but there are not really any major deer characters in the Popol Vuh. Deer are present but are not as prominent as jaguars, bats, macaws, leaf-cutting ants, and the like. Although deer were not fully domesticated, there are plenty of scenes on codex-style Mayan vases that show deer inside the palace areas, usually with well-fed young women. Deer heads (real and artificial) are worn by the Maya, especially in dances and ritual parades. Throughout the Bilbao area of Cotzumalguapa, Escuintla, you can see many sculptures that depict deer or hieroglyphs of a deer head. 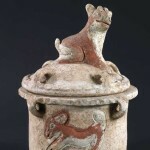 The Bilbao culture is non-Mayan—a fascinating mixture of diverse Mexican cultures that took root in Guatemala and developed a unique Guatemalan adaptation of a mixture of Teotihuacan, Classic Veracruz and other sources from Mexico. 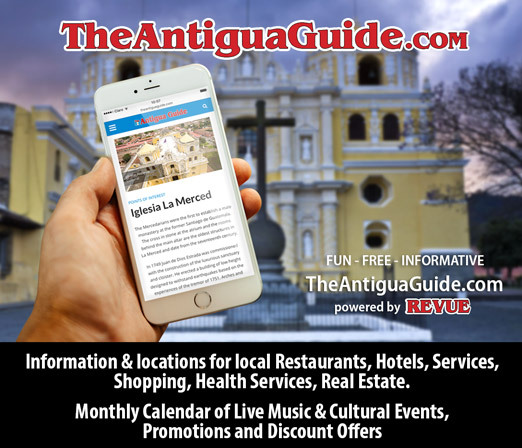 You can see these fascinating sculptures in two museums near the town of Santa Lucía Cotzumalguapa, and other examples in the Museo Nacional de Arqueología, some in the Museo Popol Vuh (Universidad Francisco Marroquín), and a few in other museums. 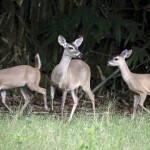 Today you can see white-tailed deer at AutoSafari Chapín, in the Copán ruins and occasionally at Tikal and Yaxhá. 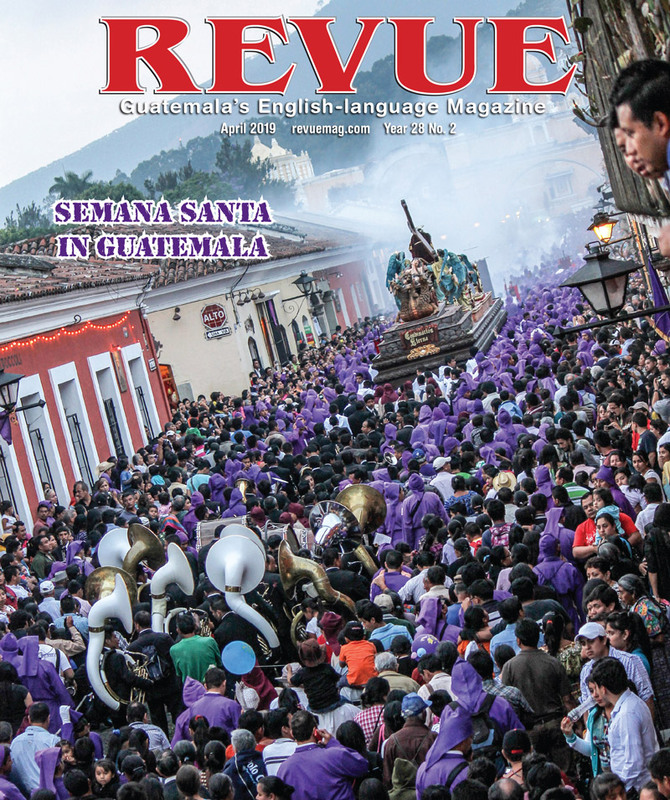 Although we perhaps are mesmerized by jaguars, vampire bats, crocodiles and cute hummingbirds as creatures in Mayan mythology, we should reinstate the deer into the regal processions and supernatural beliefs of Classic Mayan civilization. Could you specify which ones? Perhaps some images? That’s very interesting.